If there’s one thing that I’ve learned about Austinites during my short time here, it’s that they LOVE tacos. In these parts, the sky is the limit. There are authentic Taqueria tacos, traditional Tex-Mex tacos, breakfast tacos, BBQ tacos, Indian tacos, Asian tacos, Thai Tacos… you name it! Chances are, your favorite food likely comes in taco form around here. Though I’ve yet to see a spaghetti and meatball taco, I wouldn’t be too surprised if it popped up on a menu. We’ve done a lot of grilling since we’ve been here, and I’ve started to favor those recipes that don’t cause a lot of fuss. 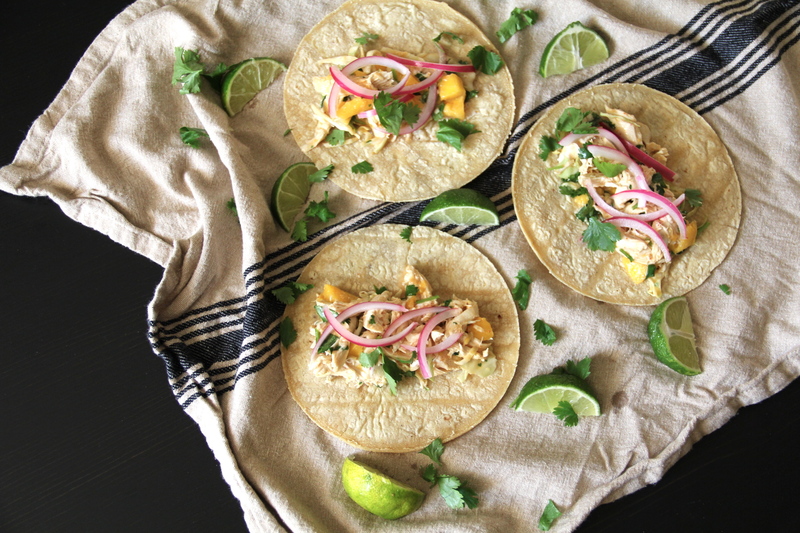 Feeling inspired by a Coconut-Mango Chicken Salad recipe that I recently saw, I decided to do as Austinites do and put the taco challenge to the test. I am a sucker for anything coconut, and if you throw mango into the mix, I am sold. I first toyed with this recipe during our first week in town. Our kitchen wasn’t all the way unpacked but I was tired of eating takeout. I was ready to get back to cooking and to explore all of the great ingredients that Texas has to offer. Though I wouldn’t necessarily say that the flavor of this dish is very Texan, the inspiration certainly is. 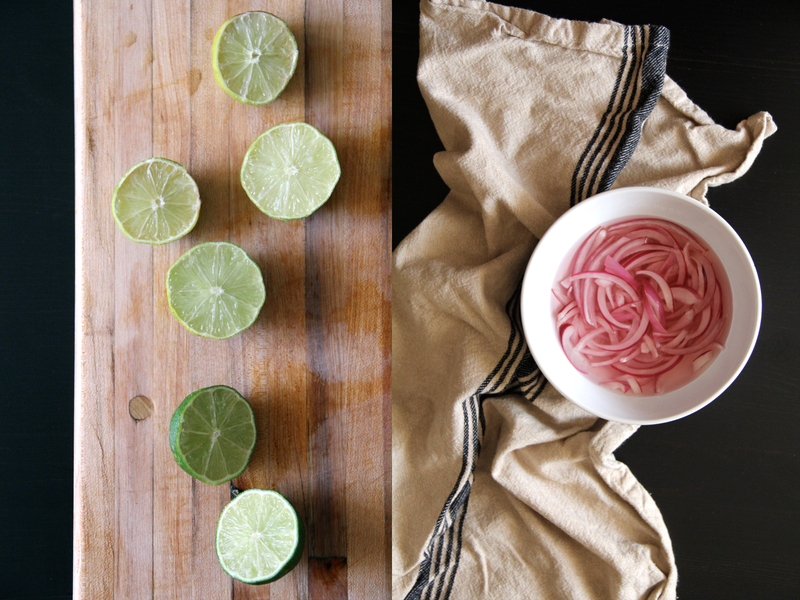 It consists of some of my favorite ingredients, swirled together, and presented in taco form. It’s a quick and easy dish to cook, and doesn’t bring the kitchen temperature up to an unbearable state. Plus, from start to finish it takes no more than 30 minutes to prepare, making it the perfect go to recipe for those nights when you just don’t have much time (or motivation) to cook. Bring 1 cup of water, 1 tbsp of fish sauce, and 1 tbsp of Sriracha to a boil in a 12-inch skillet. Reduce heat to medium-low. Add chicken and simmer, covered, until chicken is cooked through, about 10-15 minutes. Meanwhile, whisk together cream of coconut, lime juice, and remaining fish sauce and Sriracha in a large bowl. Add your cabbage, cilantro, and mango and toss to coat. Once your chicken is cooked through, transfer it to a plate and using two forks, shred it into bite-size pieces. Lightly salt your shredded chicken and then add it to your cabbage mixture. Toss until all ingredients are mixed well and your chicken is thoroughly coated. Set aside. Lightly heat your tortillas between two wet paper towels in the microwave for 15-20 seconds, or for about 5-10 seconds per tortilla in a warm skillet. 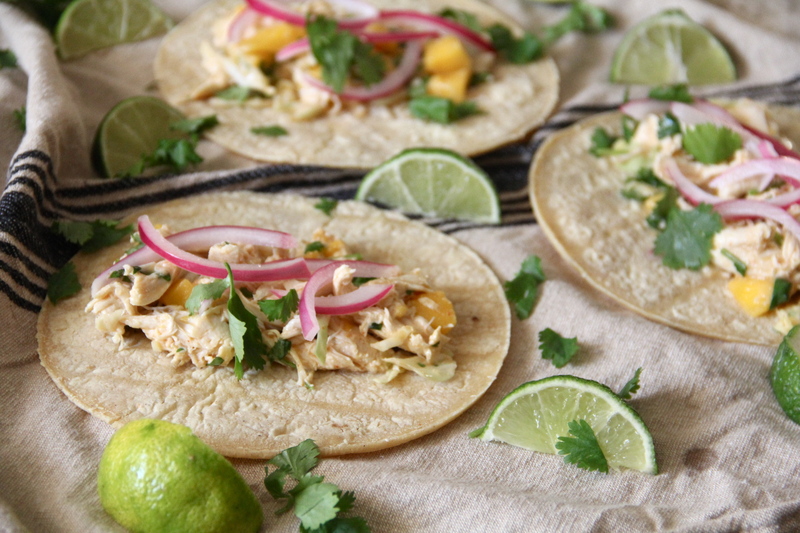 Fill each tortilla with approximately 3 heaping tbsp of chicken/slaw mixture and top with pickled onions and extra cilantro, lime, and Sriracha if desired. Whisk together vinegar, salt, and sugar in medium bowl. Add onion and let set for at least 20 minutes at room temperature. Drain onion before using.